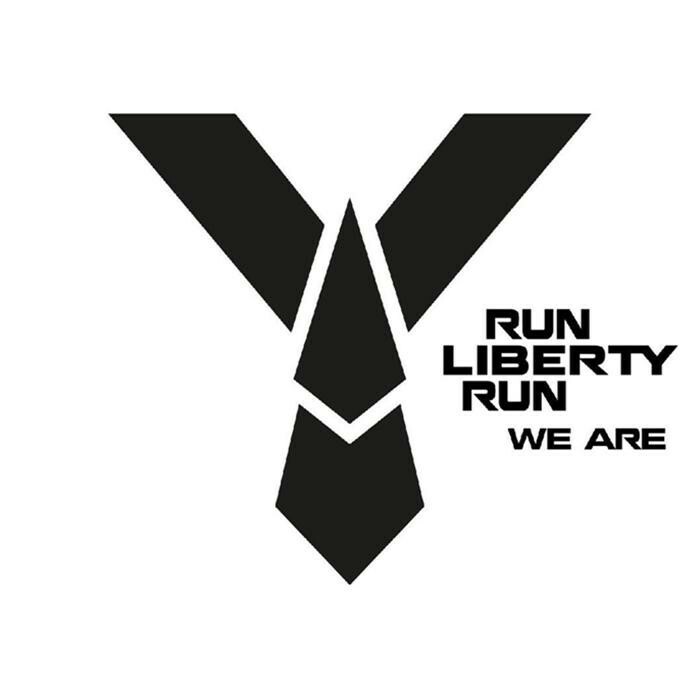 Germany's Run Liberty Run have attempted to defy genre definition by incorporating a plethora of styles into the sound on their debut full-length album 'We Are', but if held at gun-point I would categorise it as Modern Melodic Alternative Electronic Pop Rock. One glance at the cover would actually lead one to believe they were about to listen to a Pop Idol-styled boy band; all clean cut and dressed in white. Schep (vocals/guitar), Seb (drums), Marv (guitar) and Steff (bass) are all in their early twenties and have created something quite special. The bio accompanying this release emphasises how much RLR like to use keys and synths, but I think this statement distracts from the quality of the material. The programmed elements are merely embellishments; they enhance each song to maximise the impact rather than dominate. 'Ashes And Dust' opens with stabbing synths that brings to mind Depeche Mode from the eighties, but when the drums and guitars crash in it is unquestionably Rock. 'We Are' follows suit, it begins with a simple acoustic guitar riff underpinned by electronic sounds, then the drums and sweeping orchestration arrive to give it an epic feel and when the hook turns up, it is huge – stadium sized. 'Rain' is a massive Melodic Rock song, pure and simple; keyboards, guitars and drums blend in glorious harmony and the impassioned hook highlights an enthusiastic and effective creative mantra. The melancholic 'Where Are You Now' and heartfelt 'Start A Fire' pull back on the reins a little, but they are no less powerful and showcase Schep's vocals in the process. The mid-song breakdown during 'Sayanora' is like a Summer night in an Ibizan club, it is the most retro of the programmed passages yet still works in the context of the song. The ten tracks go through a number of moods and tempos, giving the album a nice balance and each track its own identity, all delivered in conjunction with some great production values. The anthemic single 'Bengal Fires' closes the album in style and is a contemporary take on a tried and tested eighties formula, structured to sing-along to before searching for the repeat button. At the time of writing I am only three albums into my reviews quota for this issue*, but right now I can't imagine anything topping 'We Are'.